You should look for the "Ports (COM & LPT)" item as shown below. If the Ports (COM & LPT) item is not visible, please make sure that the USB cable supports data transmission. Some USB cables only support charging batteries. t is also impossible to identify with the battery power supply, and other boards are used normally. This is a normal board with the same connection. 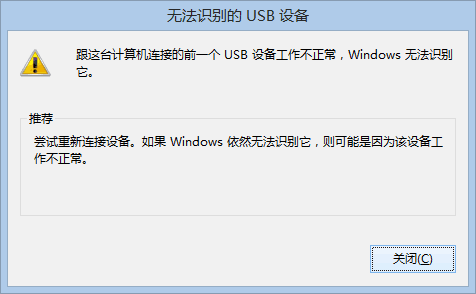 First of all, please check if micro USB port is damaged. 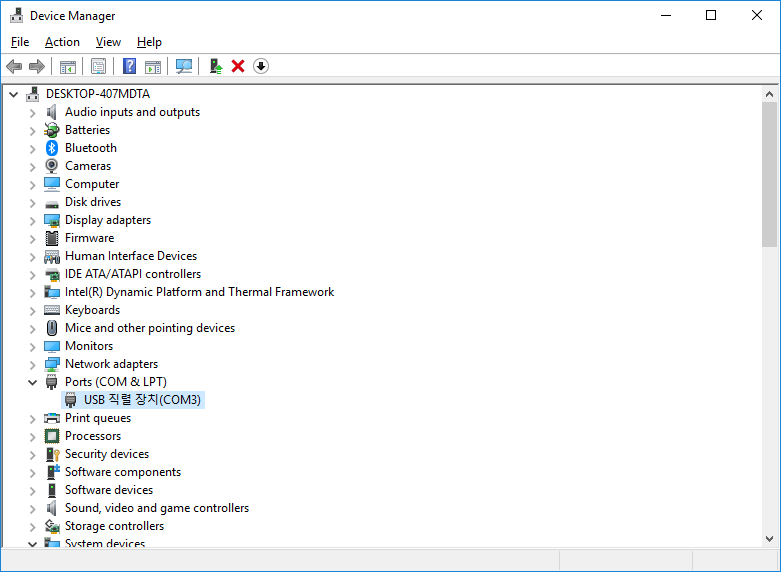 Once the driver is correctly installed, OpenCR in DFU mode will be shown as belows. 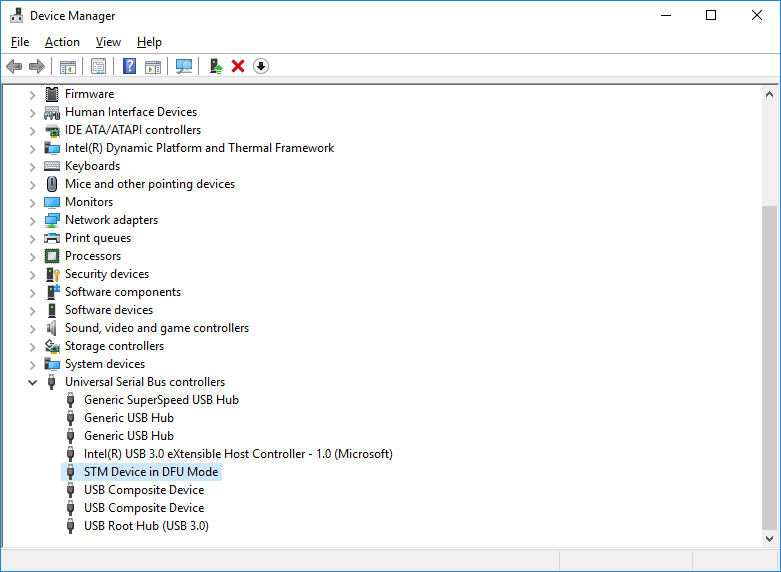 In order to enter the DFU mode, you have to press BOOT button and then press RESET button. Then try Burn Bootloader from Arduino IDE and see if this fixes the problem. If above method doesn't fix the problem, please request repair service.